The magazine’s website doesn’t have many details. 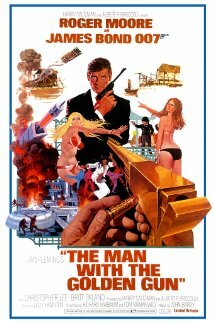 However, the 1974 James Bond film, the second starring Roger Moore, often gets criticism from critics and fans. So in that regard, 007 Magazine apparently is going to give the ninth Bond film from Eon Productions some fan love. There is also an article about George Leech and his career as a British stuntman and stunt arranger. For more information, CLICK HERE. The price is 9.99 British pounds, $15.99 and 11.99 euros. Sam Smith and Jimmy Napes got the Oscar award for Best Original Song in 2016 Academy Awards edition. It was the second triumph for the James Bond series had in that category. In the 20th century, Bond songs were beaten by the likes of “The Way We Were” (winning over Live And Let Die) or “You Light up My Life” (winning over Nobody Does It Better from The Spy Who Loved Me) and “Arthur’s Theme (The Best You Can Do),” which won over For Your Eyes Only. For that matter, 007 classic songs such as Goldfinger and Diamonds Are Forever weren’t even nominated. The spell was broken three years ago when Skyfall received the academy’s nod over songs like the solid “Suddenly,” from Les Miserables. In September 2015, when Sam Smith introduced his performance of the song “Writing’s On The Wall” for SPECTRE, it divided the Bond fans between the ones showing appreciation and the ones turning a big thumb down – not to mention a great deal of bullying towards the 23-year-old singer for his falsetto voice, hidden under the shadows of the social networks. 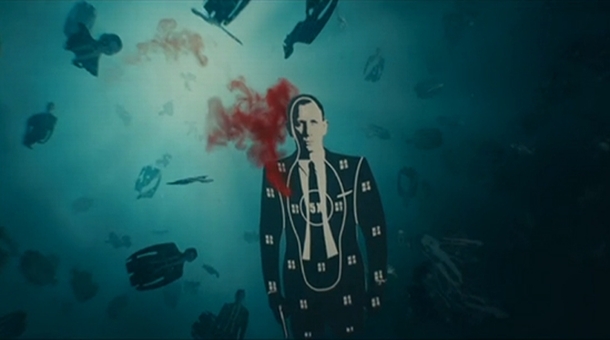 Despite Smith’s vocal register, “Writing’s On The Wall” featured an unmistakable Bondian sound reminiscent to “Thunderball” with a touch of the recent “Skyfall.” A melody so accurate that it looks like composer Thomas Newman barely retouched the original instrumental for the scene where James Bond and his love interest Madeleine Swann get steamy on a train going through the Moroccan desert. The song that supposedly took Sam Smith and Jimmy Napes less than half an hour to write described a vulnerable state of the rebooted James Bond. Bond lives with the memory of his beloved Vesper (Eva Green’s character in Casino Royale) and his boss-turned-mother figure M (Judi Dench, who bid farewell at the end of Skyfall). It takes a lot for a man to admit his weakness – particularly a man like James Bond– and this song achieves to do it in a powerful way, as Daniel Kleinman’s main title visuals show our hero naked, wrapped around octopus tentacles coming out of the villain’s back while kissed by beautiful women. While the artist voice sounds fragile, the seven main notes of the tune explode in power. A power expressing enough strength that the instrumental intermezzo (around the three minutes of the full version of the song) wasn’t cropped out during the usual editing to make a four minute composition fit into a short main title sequence. It was masterfully used to emphasize the artistic visuals. Sam Smith had the coveted Oscar statue on his hand and dedicated it to the LGBT community he is part of. Among other contenders, he triumphed over Lady Gaga’s “Till It Happens to You,” introduced by U.S. Vice President Joe Biden during the ceremony. Some people may not agree, not even Bond fans, about this recognition. But it is truly deserved because the song isn’t focused in the victorious figure of agent 007, but in the depths of the hidden soul of James Bond: his fears, his vulnerability and his overdue need for love. And this was done with a melody that synthetizes the film, twisting like the sinuous octopus tentacles that symbolize the effect of SPECTRE wrapping into the soul of the man behind the spy, and a voice that shouts what the spy covering the human being will never openly tell. The emotional complexity of the lyrics, the music and the voice is something that a spectator with an artistic eye can appreciate and enjoy while listening to “Writing’s on The Wall.” When accompanied by Kleinman’s ravishing main title sequence, it’s the way the song was meant to be appreciated. The Art of the Title website HAS AN INTERVIEW with Daniel Kleinman, who designed the titles of SPECTRE, the 24th James Bond film, as well as every 007 film since 1995 with the exception of 2008’s Quantum of Solace. –Director Sam Mendes was more involved in the titles process than other 007 film directors. To view the entire article, CLICK HERE. There are a lot more details, including photographs taken during production of the titles. GoldenEye, the 17th James Bond film, had a lot riding on it, not the least of which was the future of the 007 franchise. It had been six years since the previous Bond film, Licence to Kill. A legal fight between Eon Productions and Metro-Goldwyn-Mayer had kept 007 out of movie theaters. In 1990, Danjaq, the holding company for Eon, was put up for sale, although it never changed hands. After the dispute was settled came the business of trying kick start production. Timothy Dalton ended up exiting the Bond role so a search for a replacement began. Eon boss Albert R. Broccoli selected Pierce Brosnan — originally chosen for The Living Daylights but who lost the part when NBC ordered additional episodes of the Remington Steele series the network had canceled. Brosnan’s selection would be one of Broccoli’s last major moves. 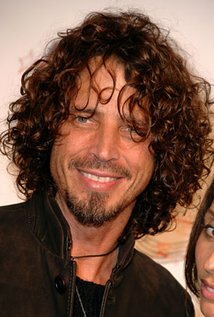 The producer, well into his 80s, underwent heart surgery in the summer of 1994 and turned over the producing duties to his daughter and stepson, Barbara Broccoli and Michael G. Wilson. Broccoli himself would only take a presenting credit in the final film. Various writers were considered. The production team opted to begin pre-production on a story devised by Michael France. His 1994 first draft was considerably different than the final film. France’s villain was Augustus Trevelyan, former head of MI6 who had defected to the Soviet Union years earlier. Bond also had a personal grudge against Trevelyan. Other writers — Jeffrey Caine, Kevin Wade and Bruce Feirstein — were called in to rework the story. The villain became Alec Trevelyan, formerly 006 and now head of the Janus crime syndicate in the post-Cold War Russia. In addition, the final script included a new M (Judi Dench), giving Bond a woman superior. Caine and Feirstein would get the screenplay credit while France only received a “story by” credit. In the 21st century, many Bond fans assume 007 will always be a financial success. In the mid 1990s, those working behind the scenes didn’t take success for granted. GoldenEye’s crew had new faces to the 007 series. Martin Campbell assumed duties as the movie’s director. Daniel Kleinman became the new title designer. His predecessor, Maurice Binder, had died in 1991. Eric Serra was brought on as composer, delivering a score unlike the John Barry style. One familiar face, special effects and miniatures expert Derek Meddings, returned. He hadn’t worked on a Bond since 1981’s For Your Eyes Only. GoldenEye would be his last 007 contribution. He died in September 1995, before the film’s release. 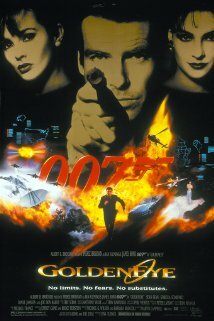 In the end, GoldenEye came through, delivering worldwide box office of $352.2 million. Bruce Feirstein, who had done the final rewrites of the script, was hired to write the next installment. Bond was back. 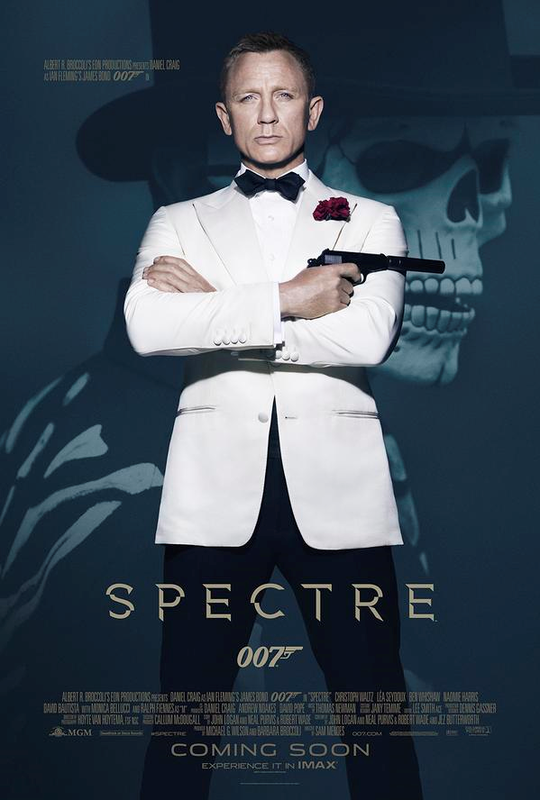 Sam Smith’s title song for SPECTRE stirred strong reaction, from former 007 actor Sir Roger Moore giving it a big vote of approval while a number of fans on social media declared it to be “the worst Bond theme ever” with some even launching an instant petition drive to have the song moved to the end titles from the main titles. All of that may be missing the forest for the trees. In some ways, the title song for the 24th James Bond film reflects the Daniel Craig era of 007 films. Starting with 2006’s Casino Royale, this isn’t a Bond who always wins. In Craig’s 007 debut, Bond won money from terrorism banker LeChiffre, only to see a mysterious organization steal it back. This never happened to the other fella. It was also a major deviation from Ian Fleming’s first novel. In 2012’s Skyfall, Bond “failed” (Craig’s own words in a recent ESQUIRE INTERVIEW) when Judi Dench’s M dies at the end of the film. “That was a big decision,” Craig told Esquire. And, of course, in all three Craig 007 films to date, the agent doesn’t get the girl at the end, formerly part of the Bond film formula. In other words, Smith singing as Bond evokes the struggles of Craig playing Bond. 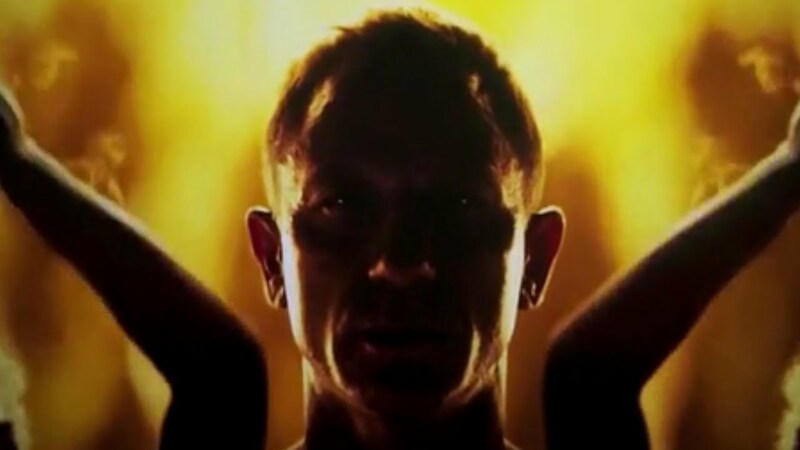 The song also appears to contain hints of SPECTRE’s story. Coincidence? We’ll see when the movie comes out — especially when the song is matched with Daniel Kleinman’s title design. Daniel Kleinman will design the main titles for SPECTRE, according to a post at JAMES BOND MAGASINET, a 007 fan site based in Norway. Kleinman told the website that he’s been asked by “the Bond producers” to design the titles and he expects to begin work after Jan. 1. Kleinman, 59, has designed the main titles of Bond movies, starting with 1995’s GoldenEye and running through 2012’s Skyfall. The one exception was 2008’s Quantum of Solace. The titles for that film were designed by a group called MK12, which had worked on other projects with director Marc Forster. Kleinman also directs music videos and commercials. His first association with the Bond series was directing the music video for the title song of 1989’s Licence to Kill.